Five years have passed since the two terrible sequential terrorist attacks in Norway on 22 July 2011 known as “The 2011 Norway attacks”, in Norway just as “22 July” (“22. juli”). The lone wolf terrorist killed 77 persons an injured over four times as many. I haven’t really got anything to add to what’s been said before during the last five years. You come to a point were there’s no words left. It’s all been said before, and even better by others. The important thing is to remember those who died, to honour their legacy, and to never let this happen again. To anybody. All I can offer here is music. I strongly believe in the power of music. Music can express love, loss, longing, anger and despair. Music can comfort, help and heal. Music can give people strength and hope. The days, weeks and months that followed the 2011 attacks really showed the world the strengths of Norwegian society. It also showed that music really can give comfort and hope to people. The terrible facts remain: 77 lives are gone forever, mostly young people. Just starting out on their life’s journey. That’s still so hard to comprehend, even today. 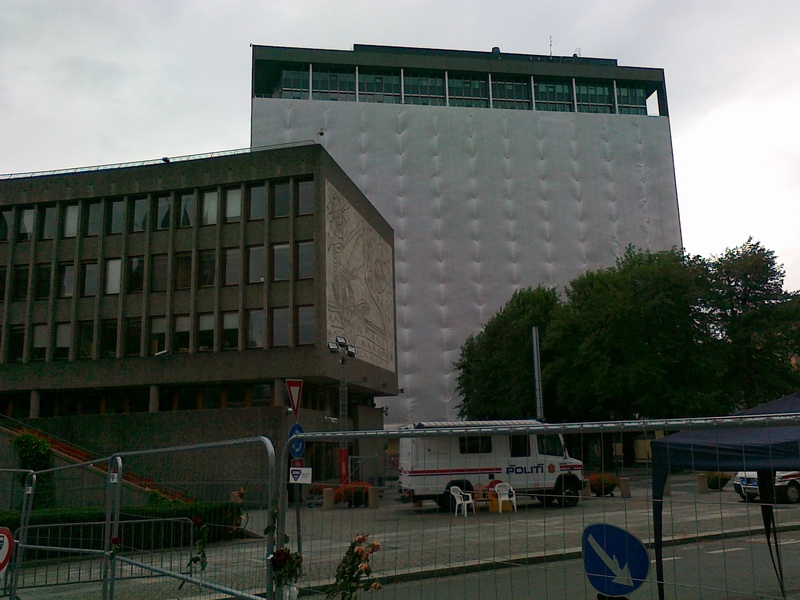 The photo above is from the Oslo government quarter where the 2011 attacks started. The H block (the tallest building) was housing the Office of the Prime Minister and the Ministry of Justice and the Police (the lowest building is the Y block). The photo is taken in August 2011, under a month after the attacks. Never forget the 2011 Norway attacks! This blog post no. 313 was first published 22-07-2016. Last revision 22-07-2016. Happy Australia Day with Pavarotti! 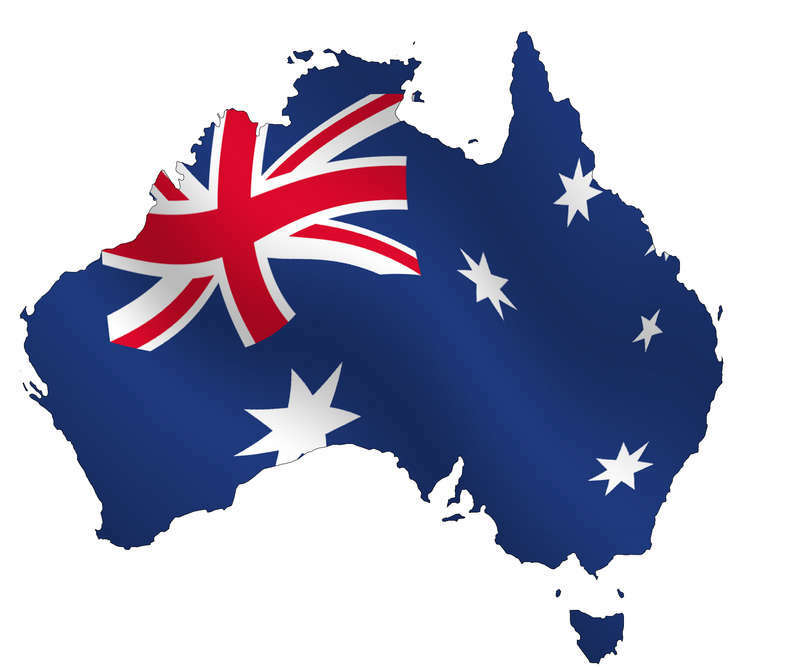 Today is Australia Day, the official National Day of Australia, which is celebrated annually on 26 January in Australia and by Australians living abroad. Pavarotti performed in Australia many times during his career, but there is another important Australian connection for Pavarotti. The Australian soprano Dame Joan Sutherland was together with her conductor husband Richard Bonynge instrumental for Pavarotti’s career on stage and on record, especially in the early stages of his career. Pavarotti and Sutherland made many landmark recordings on Decca together, as well as performing in operas and concerts together. In the following video Pavarotti and Sutherland sing the duet “Prendi: l’anel ti dono” from the Bellini opera La Sonnambula from a concert in 1983 in Sydney, Australia with Bonynge conducting. This concert is available on CD and DVD. The Three Tenors performed in Australia once. On 1 March 1997 The Three Tenors performed at the Melbourne Cricket Ground in Melbourne as part of their World Tour together with conductor Marco Armiliato. At this concert The Three Tenors surprised their audience by singing the popular Australian song “Waltzing Matilda“, by many described as the country’s “unofficial national anthem”. This blog post no. 303 was first published 26-01-2016. Last revision 26-01-2016. 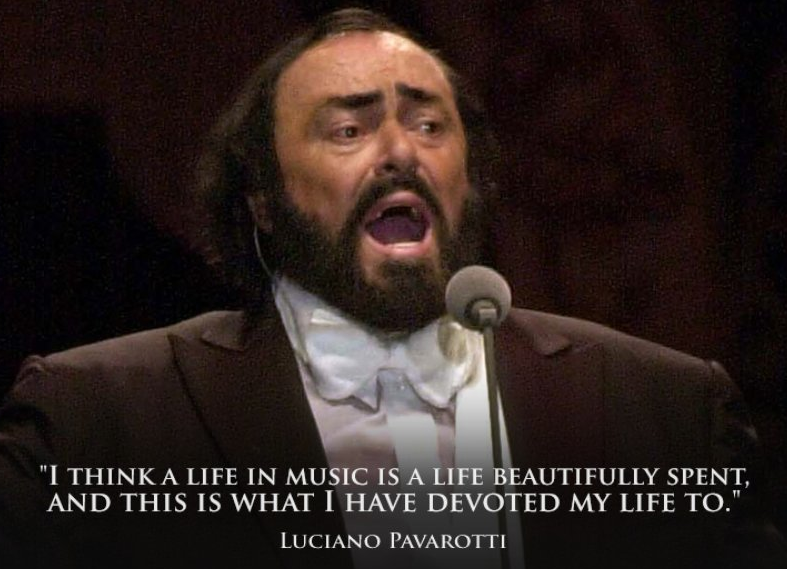 Posted in Luciano Pavarotti, Pavarotti, Pavarotti in Australia, Pavarotti in opera, Pavarotti in opera arias, Pavarotti in opera duets, Pavarotti's performances, Pavarotti's recordings, The Three Tenors on January 26, 2016 by Odd Pavarotti. Almost every year there’s at least one new Pavarotti compilation on the market. 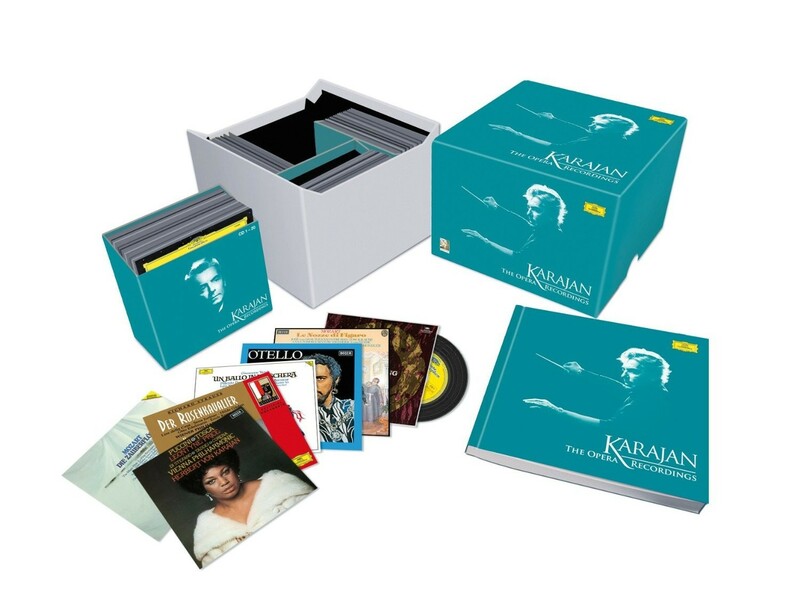 Especially interesting are Pavarotti releases from different countries. There are seldom any new tracks on these compilations but they are never the less interesting and very welcome. 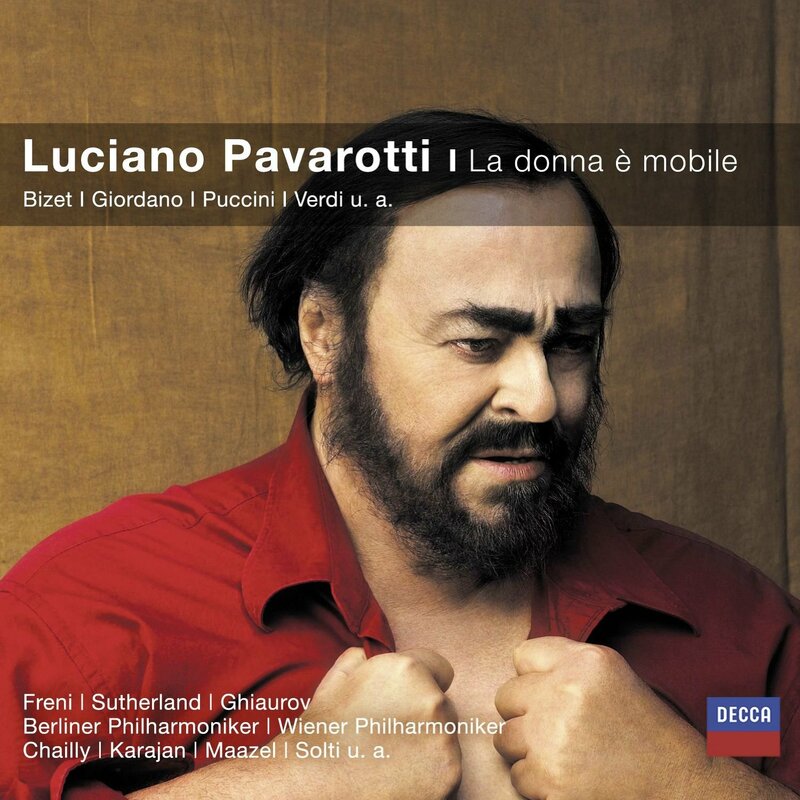 This year Decca in Germany released a single CD Pavarotti compilation for the German market entitled “La donna è mobile“. This compilation contains 21 tracks of mainly opera arias but also some popular Italian songs and one religious work is included. This CD is sold for a bargain price in stores and is also easily available online. 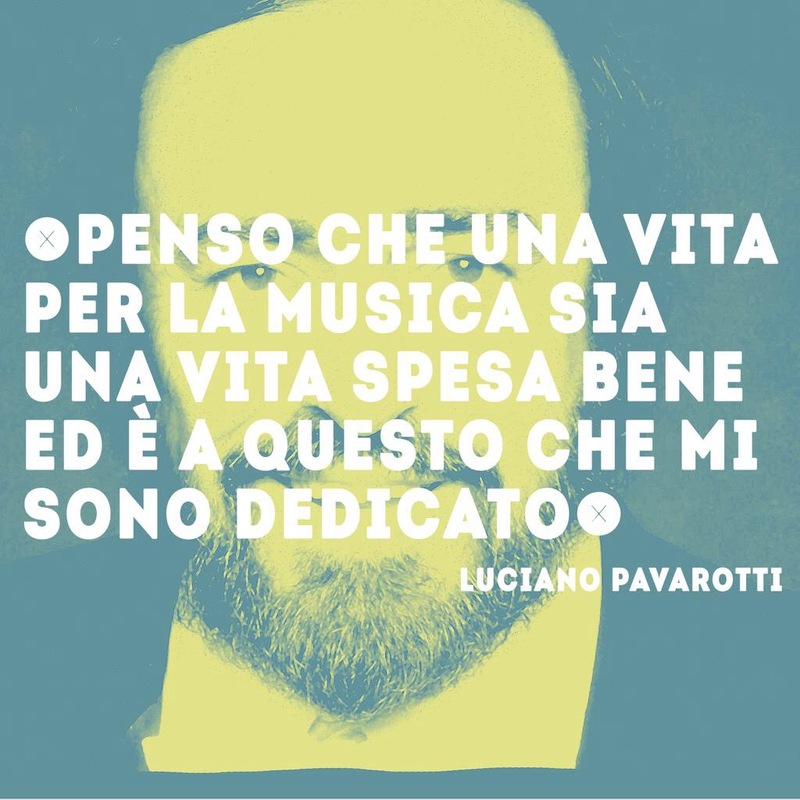 Posted in Luciano Pavarotti, Pavarotti, Pavarotti in opera, Pavarotti in opera arias, Pavarotti's recordings on December 29, 2015 by Odd Pavarotti. The Spanish tenor Plácido Domingo is still active as a singer and conductor. It’s amazing how active he still is considering his high age. Needless to say Domingo was one of The Three Tenors together with Pavarotti and Carreras. 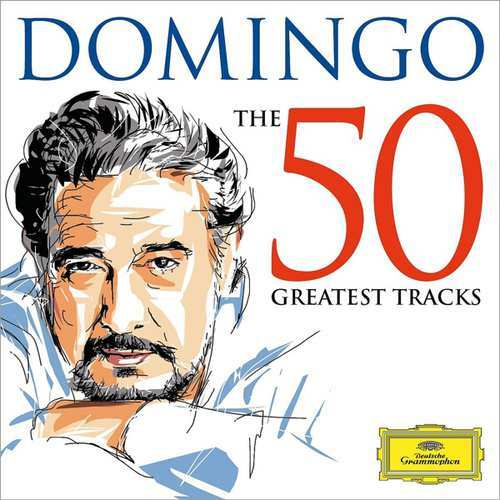 To celebrate his 75th birthday on 21 January, 2016, a 2 CDs compilation entitled “Domingo: The 50 Greatest Tracks“ has just been released on Deutsche Grammophon. This compilation is also available on download and streaming. It’s interesting that the album artwork is the same as the Pavarotti compilation “Pavarotti: The 50 Greatest Tracks“ from 2013. 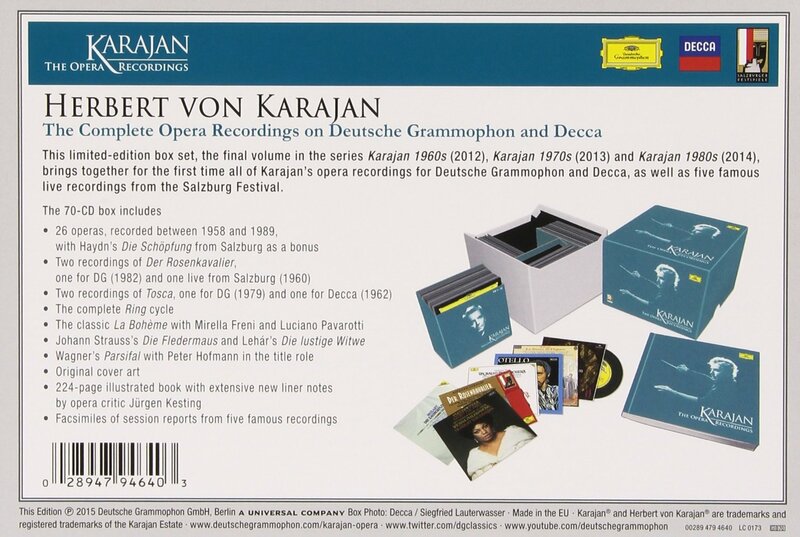 This compilation contains a very good sample of the great Spanish tenor’s recordings on Deutsche Grammophon and Decca. The Three Tenors are featured with “Nessun dorma!” from the first Three Tenors concert in Rome in 1990. 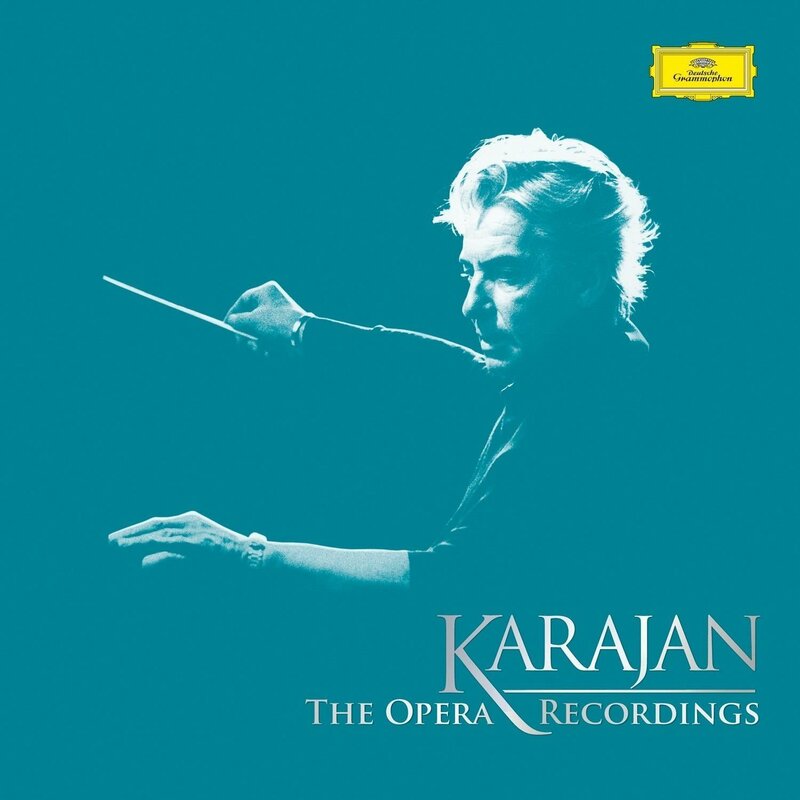 Two arias by Domingo from the same concert is also featured on this compilation. I know you’ve done it! Oh, yes! Just admit it! You’ve tried to sing together with Pavarotti at least one time in your life! And probably several times. And I know you probably want to do it again. And again! So here’s another chance to impress yourself, the one you love and the neighbor you hate so dearly: Here’s the great Orfeo & Euridice sing-along together with Pavarotti! In this video Pavarotti sings “Che farò senza Euridice” from the Gluck opera Orfeo e Euridice. It’s a very sad and moving aria about the longing for lost love, so you better be in the mood when you sing it! Maybe it would be helpful somehow! The video contains an audio recording, probably from a concert in Italy or the US, where Pavarotti is accompanied on piano. 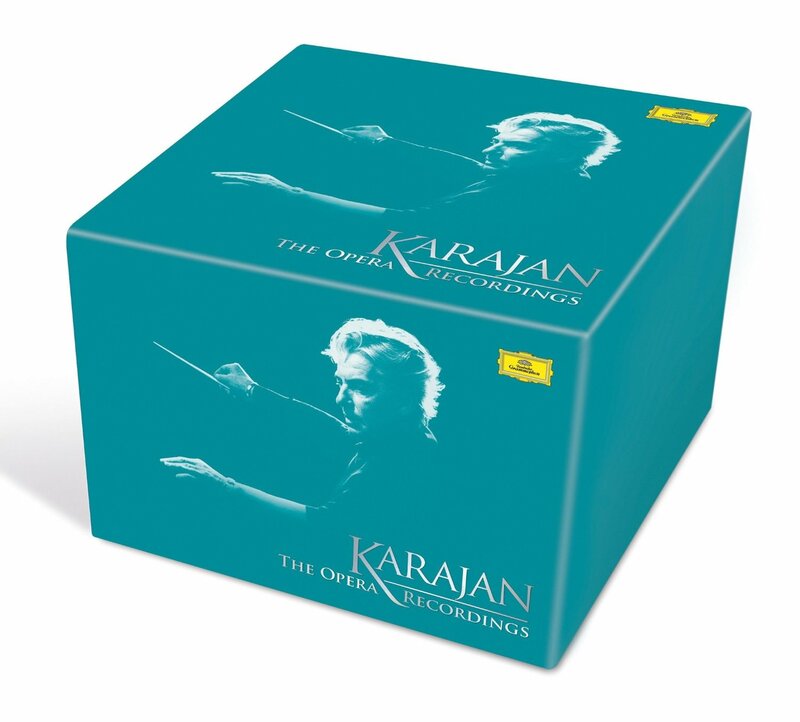 Pavarotti recorded this aria with full orchestra for his Mattinata studio album, and several live versions are available on various unofficial CDs and DVDs. More sing-along with Pavarotti here! This post was first published 13-10-2015. Last revision 13-10-2015.